Dimensions 0.75 by 6.25 by 9.50 in. Beyond Binaries in Education Research explores the ethical, methodological, and social justice issues relating to conceptualizations of binary opposites in education research, particularly where one side of the dualism is perceived to be positive and the other negative. In education research these may include ability-disability, academic-vocational, adult-child, formal-informal learning, male-female, research-practice, researcher-participant, sedentary-mobile, and West-East. Chapters in this book explore the resilience of binary constructions and present conceptual models for moving beyond them and/or reconceptualizing them to facilitate more productive approaches to education provision. With contributors from authors working in aÂ multitude ofÂ educational fields and countries, this book provides a significant contribution to the ongoing challenge to seek new ways to move beyond binaries in education research. 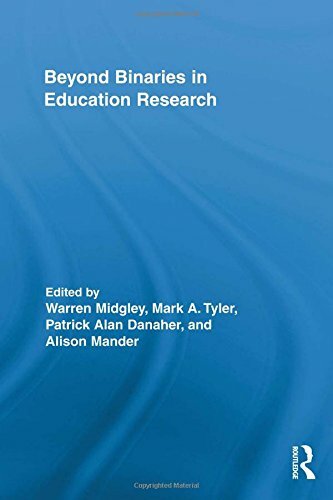 About: Beyond Binaries in Education Research explores the ethical, methodological, and social justice issues relating to conceptualizations of binary opposites in education research, particularly where one side of the dualism is perceived to be positive and the other negative.